You are here: Home 2016 October 1 Police in Edinburgh have arrested two men in connection with a robbery and vandalism near East Craigs. 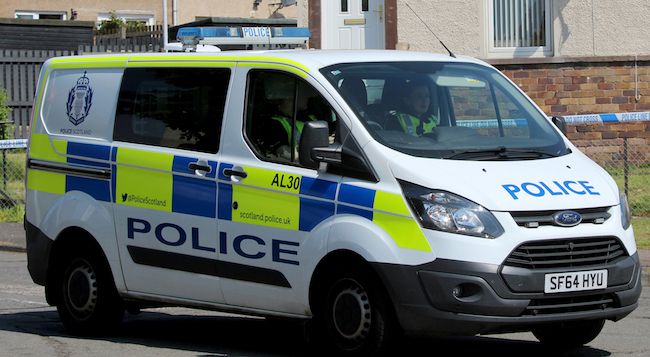 Police in Edinburgh have arrested two men in connection with a robbery and vandalism near East Craigs. ​Police in Edinburgh have arrested two men in connection with a robbery and vandalism near East Craigs. Both males, aged 18 and 21, are expected to appear before Edinburgh Sheriff Court on Monday, October the 3rd. This follows an investigation led by detectives from Edinburgh CID into an incident on Tuesday, the 27th of September, when a 65-year-old man was robbed and a window was smashed at a property in Craigmount Hill. Detective Sergeant Kevin Tait based at Corstorphine police station said: “Thanks to the assistance of the local community we have successfully traced and arrested two men in connection with this incident.